“We are thrilled to have such a powerhouse keynote for Black voices at the BANC during the College’s centennial year. 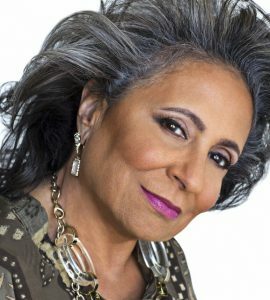 Cathy Hughes’ wisdom and commitment to fearlessly innovating ways for Black voices to create social and economic value through entertainment and communication inspire us tremendously,” said Leslie Parra’19, Co-Chair, Black Affinity Network Conference. “Cathy Hughes’ vision continues to create the soundtrack and backdrop to our success as a community,” said Shatiek J. Gatlin’16, Co-Chair, Black Affinity Network Conference. “In the pantheon of global business, broadcast entrepreneur Cathy Hughes is an American visionary. Her commitment to the African-American community is indisputable and her concern for all people is admirable. She is most deserving of this recognition from Babson College on the occasion of the 21st Annual Black Affinity Network Awards,” said Dyana Williams, co-host, “Soulful Sunday” – Affectionately named “The Ambassador of African-American Music” by American Express’ Departures magazine.